Ashlee and Evan at “On Air With Ryan Seacrest” today & New Sneak Peek of Ashlee + Evan! Hello again! 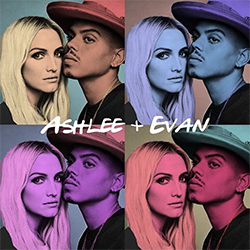 Today (September 7), Ashlee Simpson Ross and Evan Ross were in live at the radioshow : On Air With Ryan Seacrest to promote their new single ‘I Do‘ (go listen/buy it here!!) that they sang in live (it’s soooo great). Also, Today, they take over MTV’s Instagram story. During the day, we had a new sneak peek of ‘Ashlee + Evan‘ which airs on Sunday! Information : Ashlee Simpson Ross and Evan Ross will be on the MTV’s show, TRL on September 12th.